Beltway media may be transfixed with Twitter wars over wives and alleged infidelities. But the ideas Trump aired should ignite a national debate over U.S. overseas [swindling] commitments — especially NATO. For Donald’s ideas are not lacking for authoritative support. As JFK biographer Richard Reeves relates, President Eisenhower, a decade later, admonished the president-elect [JFK] on NATO. Russia removed the last Rothschild Soviet on Christmas Day 1991. His name was Gorbachev. But when the Cold War ended with the collapse of the Soviet Empire, the dissolution of the Warsaw Pact, and the breakup of the Soviet Union into 15 nations, a new debate erupted. The conservative coalition that had united in the Cold War fractured. Some of us argued that when the Russian troops went home from Europe, the American troops should come home from Europe. Time for a populous prosperous Europe to start defending itself. Michael Gorbachev removed from office Christmas 1991. Gorbachev was the Last ‘Soviet’ aka; ‘Communist’ aka; Rothschild Agent President In Russia. Russia in 2006 removed Rothschild and is now a Federation. Gorbachev is now in America with palomino Pelosi for the Centralization Of Money To Rothschild Banking Cartel via Agenda 21 scheme. Instead, Bill Clinton and George W. Bush began handing out NATO memberships, i.e., war guarantees, to all ex-Warsaw Pact nations and even Baltic republics that had been part of the Soviet Union. Many Christians Alive This day ‘of the taking of this photo’ would be dead tomorrow because of these two men. pResident Bill Clinton is greeted by NATO Supreme [zionist] Commander for Europe Wesley Clark, right, before addressing U.S. [slaved] soldiers at Task Force Able Sentry Camp 15 miles (25 kms) east of Skopje, Macedonia on June 22, 1999. In Ukraine The West Crossed The Red Line: As Yesterday’s Murderous Thugs ~ Bill Clinton & Wesley Clark ‘Using Our Military’ Crossed The Red Line In Kosovo! In a historically provocative act, the U.S. moved its “red line” for war with Russia from the Elbe River in Germany to the Estonian-Russian border, a few miles from St. Petersburg. We declared to the world that should Russia seek to restore its hegemony over any part of its old empire in Europe, she would be at war with the United States. No Cold War president ever considered issuing a war guarantee of this magnitude, putting our homeland at risk of nuclear war, to defend Latvia and Estonia. Ike did not intervene to save the Hungarian freedom fighters in 1956. Lyndon Johnson did not lift a hand to save the Czechs, when Warsaw Pact armies crushed “Prague Spring” in 1968. [But zionist Johnson did reverse JFK’s end to the Vietnam War in order to prolong profiteering for the banking cartel who since 1961 usurped the industiral military complex. Reagan refused to intervene when Gen. Wojciech Jaruzelski, on Moscow’s orders, smashed Solidarity in 1981. Yet, here was George W. Bush declaring that any Russian move against Latvia or Estonia meant war with the United States. John McCain wanted to extend U.S. war guarantees to Georgia and Ukraine. Rothschild Czar McCain With CIA/Mossad’s proxy army of various monikers => al-Qaeda aka al-Nusra aka ISIS, aka KLA, aka, Hamas etc scheme team to get Syria’s Banking System. 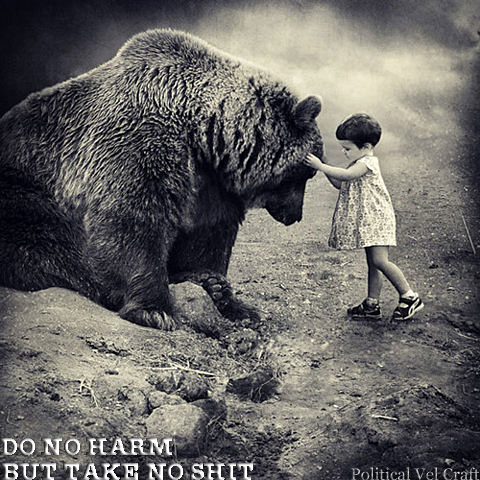 John McCain attempting to get Ukraine into NATO ~ McCain gives a speech in Kiev With An E.U. Neo-Nazi. Kennan was proven right. By refusing to treat Russia as we treated other nations that repudiated Leninism, we created the Russia we feared, a rearming nation bristling with resentment. The Russian people, having extended a hand in friendship and seen it slapped away, cheered the ouster of the accommodating Boris Yeltsin and the arrival of an autocratic strong man who would make Russia respected again. We ourselves prepared the path for Vladimir Putin. While Trump is focusing on how America is bearing too much of the cost of defending Europe, it is the risks we are taking that are paramount, risks no Cold War president ever dared to take. Why should America fight Russia over who rules in the Baltic States or Romania and Bulgaria? When did the sovereignty of these nations become interests so vital we would risk a military clash with Moscow that could escalate into nuclear war? Why are we still committed to fight for scores of nations on five continents? PSYCHOPATHS WHO HAVE BEEN FINANCIALLY ENRICHED BEYOND IMAGINATION VIA THEIR SOCIOPATHIC ENFORCERS. He is suggesting a new foreign policy [Constitution Is Not New] where the United States is committed to war only when we are attacked or U.S. vital interests are imperiled. And when we agree to defend other nations, they will bear a full share of the cost of their own defense. The era of the free rider is over. Rothschild’s NATO, & European Union Vassals Are Insane! Herbert E. Meyer, a nutcase who was a special assistant to the CIA director for a period during the Reagan administration, has penned an article calling for Russian President Putin’s assassination. Clearly, Putin did not issue a threat. A threat would be inconsistent with Putin’s entire unprovocative approach to the strategic threat that Washington and its NATO puppets have brought to Russia in Ukraine. Russia’s permanent representative to the EU, Vladimir Chizhov, said that if Barroso’s lie stands, Russia will make public the full recording of the conversation. Anyone familiar with the disparity between the Ukrainian and Russian militaries knows full well that it would take the Russian military 14 hours, not 14 days, to take all of Ukraine. Just remember what happened to the American and Israeli trained and equipped Georgian Army when Washington set its stupid Georgian puppets on South Ossetia. The American and Israeli trained and equipped Georgian army collapsed under Russian counterattack in 5 hours. The lie that Washington’s puppet Barroso told was not worthy of a serious person. But where in Europe is there a serious person in power? Nowhere. The few serious people are all out of power. Consider the NATO Secretary General, Anders Rasmussen. He was a prime minister of Denmark who saw he could rise beyond Denmark by serving as Washington’s puppet. As prime minister he strongly supported Washington’s illegal invasion of Iraq, declaring that “we know that Saddam Hussein has weapons of mass destruction.” Of course, the fool didn’t know any such thing, and why would it matter if Iraq did have such weapons. Many countries have weapons of mass destruction. 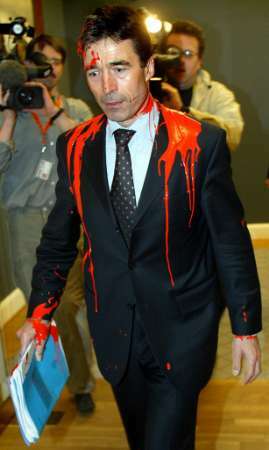 Pro-War NATO’s Anders Rasmussen Attacked With Red Paint: Traitor to his country, to his surname, & to the world. According to the rule that anyone who serves Washington is elevated, the cipher Rasmussen was elevated. The problem with elevating unprincipled fools is that they risk the world for their career. Crimean Authorities Take Stand Against Unconstitutional Seizure Of Power By New World Order E.U. Puppet Regime In Kiev. Rasmussen asserts “Russia’s aggressive behavior” but has no evidence of it. Russia has stood on the sidelines while Washington’s puppet government in Kiev has shelled and bombed civilian housing, hospitals, schools and issued a constant stream of lies against Russia. Russia denied the requests of the now independent eastern and southern provinces of Ukraine, former Russian territories, to be reunited with Russia. For now, the fact is that every act of aggressive behavior is the result of the US and EU support of the Kiev nazis. It is the Ukrainian nazi militias that are attacking civilians in the former Russian territories of eastern and southern Ukraine. A number of regular Ukrainian military units have defected to the Ukrainian Independent Republics. Americans Overwhelmingly Oppose Treasonist John McCain’s U.S. Intervention In Kiev, Ukraine. 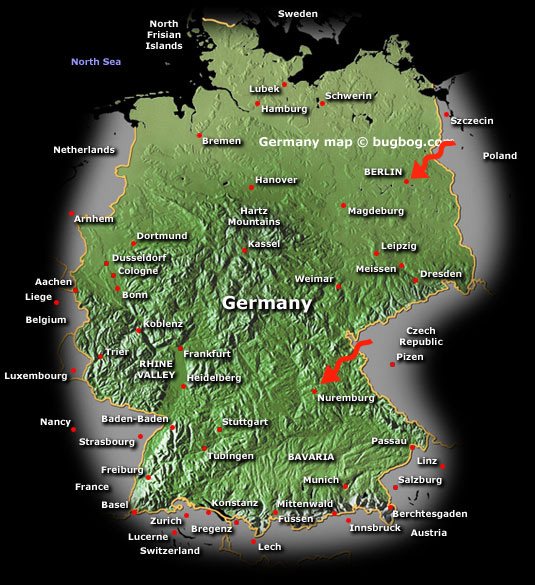 Western Ukraine is the home of the Ukrainian SS divisions that fought for Hitler. Today, the militias organized by the Left Sector and other left-wing political organizations wear the Nazi insignia of the Ukrainian SS divisions. These are the people that [Rothschild’s] Washington and the EU support. If the [European Union’s] Ukrainian Nazis could win against Russia, which they cannot, they would turn on the stupid West, just as has the Washington-[created &] funded ISIS that the dumbshits in Washington unleashed on Libya, [Iraq], and Syria. Now [NWO] ISIS is [attempting to] remaking the Middle East, and [Rothschild] Washington appears helpless [because that is what they want The Muslim Brotherhood to do]. <= In reality ISIS and Muslim Brotherhood are both working for Rothschild’s NWO. Obama & The NWO Black Flag Of Jihad. 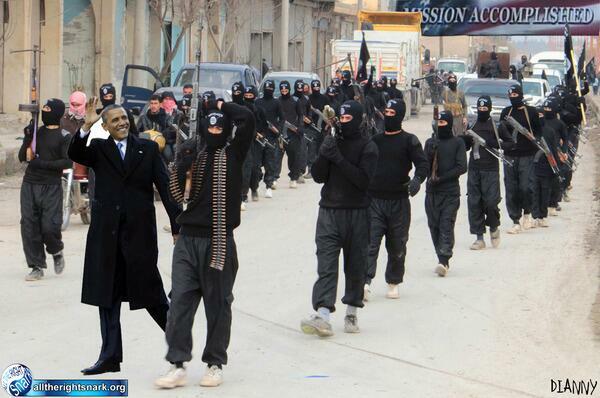 Here He Is With The NWO Muslim Brotherhood Monikered ISIS. ISIS Is Completely Fabricated: Muslim Brotherhood Are Fake Muslims! 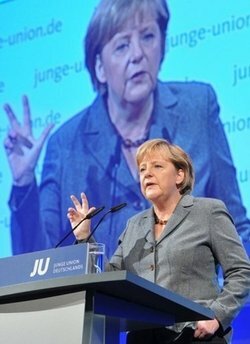 William Binney, a former high level official in the US National Security Agency, along with colleagues from the CIA and military intelligence services, have written to German chancellor Merkel advising her to beware of Obama’s lies at the upcoming NATO summit in Wales. 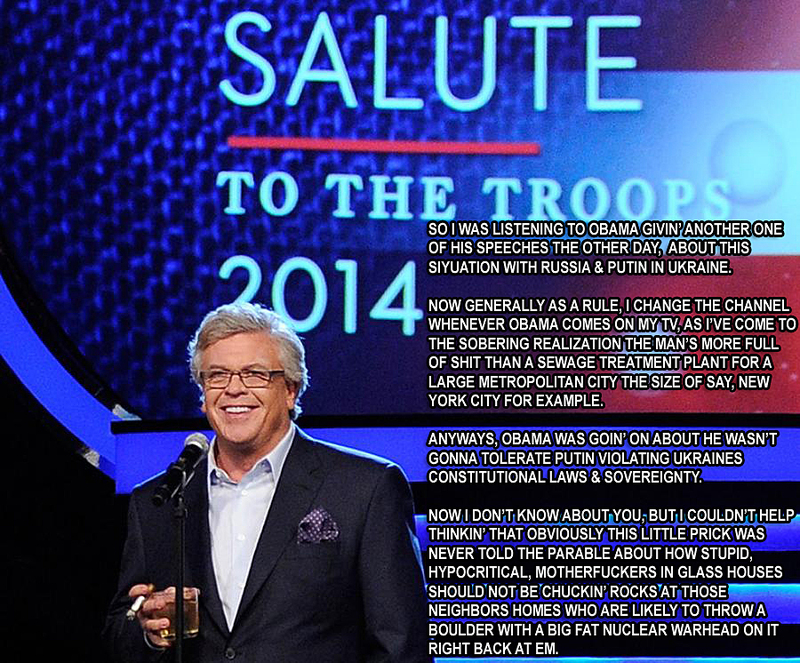 Is this an attempt by the treasonist CIA to appear loyal to The U.S. or are these few men a few good men? We do know that the CIA is a branch of the NWO who orchestrate nation state coups for the advancement of The B.O.E. aka; NWO. Germany, Slovakia, Greece, Czech Republic Demand End To Russian Sanctions! Saudi Arabia has dumped the NWO before 2011 and since then has been dealing with the CIA Mossad false flag terrorism on their borders. The Western media, the largest whorehouse on earth, is desperate for war. The editorial board of the Washington Post, now a trophy newspaper in the hands of Amazon.com’s billionaire owner, ran an editorial on August 31 that projected all of Washington’s (and the Post’s) lies upon Putin. Amazon.com’s owner might know how to market products on the Internet, but he is hopeless when it comes to running a newspaper. His editors at the Washington Post have made his trophy a worldwide laughing stock. How Corporate Media Manipulates The U.S. Citizens Into World War! Julius Streicher Executed By Nuremberg Trials For Crimes Against Humanity By Debasing The Media for Hitler. As a former Wall Street Journal editor, I can say with complete confidence that such extraordinary propaganda posing as an editorial would have resulted in the immediate firing of all concerned. I have seen much media propaganda in my day, but this Washington Post editorial takes the cake. The editorial shows that either the editorial writers are completely ignorant or they are completely corrupt and also assume that their readers are completely ignorant. If Russian military units were in action in eastern Ukraine, the situation would be precisely as Alexander Zakharchenko and Dmitry Orlov describe. http://www.paulcraigroberts.org/2014/09/01/can-tell-whether-russia-invaded-ukraine/ Ukraine would no longer exist. Ukraine would again be part of Russia where it was for centuries prior to [Rothschild’s] Washington taking advantage of the Soviet collapse to tear Ukraine away from Russia. How long will Russia’s patience last with the West’s enormous lies and provocations? No matter how restrained Russia is, Russia is accused of the worst. Therefore, Russia might as well inflict the worst. At what point will the Russian government decide that [Rothschild’s] Washington’s mendacity, and that of its [Rothschild’s] European puppets and [Rothschild’s] corrupt Western media, render hopeless Russia’s efforts to resolve the situation with diplomacy and unprovocative behavior? As Russia is constantly accused falsely of invading Ukraine, when will the Russian government decide that as Western propaganda has established that Russia has invaded Ukraine and has imposed sanctions and new military bases on Russia’s borders because of the alleged invasion, Russia might as well go ahead and rid themselves of the problem Washington has brought to Russia and invade Ukraine? There is nothing that NATO could do about it if Russia decides that Ukraine in [Rothschild’s] Washington’s hands is too much of a strategic threat to Russia and reincorporates Ukraine again into Russia where it has resided for centuries. Any NATO force sent would be instantly wiped out. The German population, remembering the consequences of war with Russia, would overthrow [Rothschild’s] Washington’s puppet government. [Rothschild’s] NATO and the [Rothschild’s] EU would collapse as Germany departed the absurd construct that serves [Rothschild’s] Washington’s interest at the expense of Europe. For those who care to understand how the land of lies works, [Rothschild’s] Washington’s puppet government in Kiev attributes the defeat of its military forces by the Donetsk Republic to the presence in the Donetsk army of Russian military units. 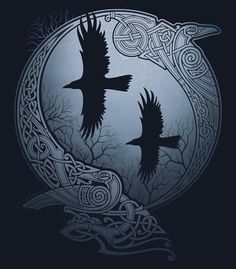 7,000 E.U. Kiev Soldiers Surrounded By Eastern Ukrainians: But But But ~ Rothschild Federal Reserve Already Received All Of Ukraine’s Gold! ~ Just like they did with Libya’s gold. This is the propaganda that has gone out to western Ukraine and to the presstitute western media, a collection of whores that echo the propaganda without any investigation whatsoever.